It has come to my attention that you humans are woefully uninformed about the dangers of the supernatural world. You walk around all day, taking absolutely no precautions. Some of you are so crazy, you even go looking for trouble. Well, I’m here to tell you: Don’t do that! In the hopes of saving even one of you from an elf-related death—or worse—I am going to post a page of my journal every week. This just in: Mustardseed, V.P. of Prospero, Inc. 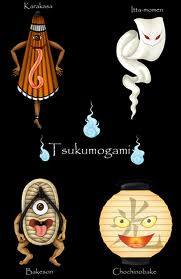 Priority Contracts, asked for some info on Tsukumogami. Apparently, these supernatural perps have been causing some trouble for Prospero Inc. employees in our Kyoto branch. So, I’m gonna start with them. Description: When Japanese household objects—such as mirrors, umbrellas, etc.—make it to their 100th birthday, they wake up and become animate. Frequency: As common as one hundred year old items. Danger Level: Various. If you want to stay alive, don’t get near ‘em. Mab’s Eye View: The people of Japan have known about this phenomenon since the 10th Century, and yet they do not destroy all their old objects. Are they crazy? Are they begging for trouble? Let me tell you. In the next few weeks, I'll tell ya about various tsukumogami, and I'll share some hair-raising tales that will make you shy away from antiques ever after! 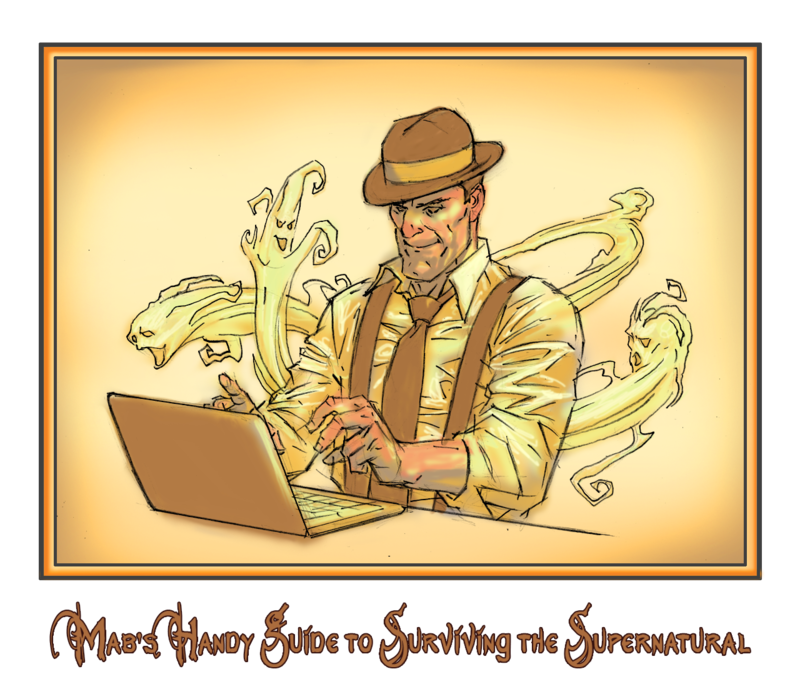 November 21, 2013 in Mab's Handy Guide to Surviving the Supernatural. ← Wright’s Writing Corner: The Trick!